Easter Brunch Week started off with great success! Yesterday I shared my famous Easy Cheesy Sausage and Egg Casserole! Do check out the recipe if you haven’t already, it is so good! Don’t forget to enter to win some amazing prizes from our sponsors. The details and prize info is all here! You are in for a treat today! This lemon cake is so delicious! My Mom always made Lemon Bundt cake when I was young! My Mom could take a box cake mix and turn it into so many different flavors! While my Moms was a Bundt cake, I wanted a cake! To make my Lemon Yogurt cake, I used my Silpat 8-inch round mat! I cannot say enough how much I love using SilPat mats! They are reusable so they save me money! Silpat mats are non-stick, perfect for baking! 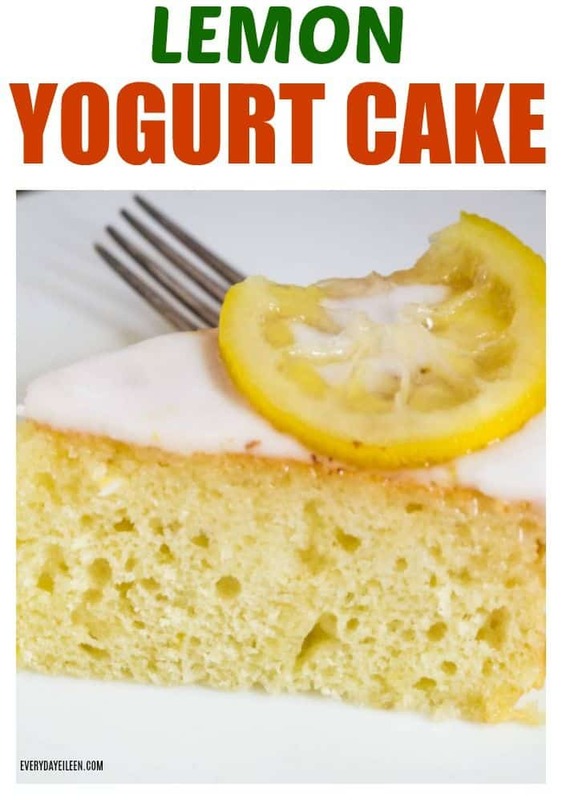 The lemon cake also calls for yogurt because it adds amazing flavor! 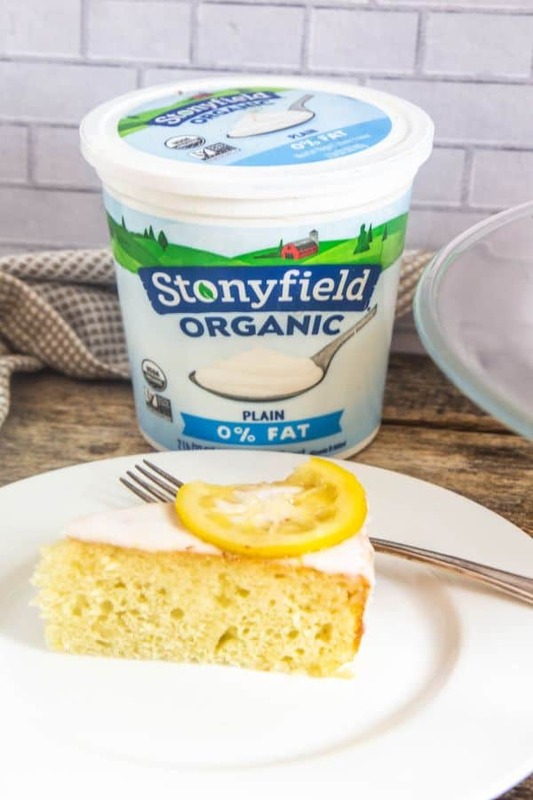 Stonyfield is my go-to in the kitchen! Its organic and I use it in baking and smoothies all the time! This is a twist on Moms cake! As always, I have to add a little of me to my family recipes! Mom always used a rum glaze, which is yummy! I wanted to make this kid-friendly and lighter so my glaze is strictly lemon which strengthens the lemon flavor! Top the cake with a simple lemon icing, more lemon! Garnish with candied lemons to make this one fantastic cake! Can Lemon Yogurt Cake Be Frozen? Once the cake is baked and cooled, the cake can be wrapped well and frozen for up to 3 months. No glaze or icing. When ready to use, defrost overnight and glaze the cake and then add icing. 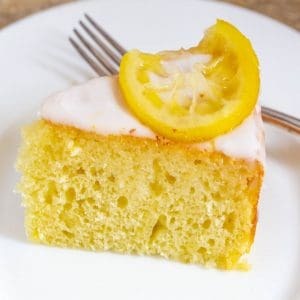 What other topping can be using instead of the Lemon icing? The lemon icing is super easy but any icing that pairs with lemon can be used. Feel free to use confectioner sugar, lemon meringue buttercream (recipe coming), or lemon whipped cream. Can Meyer Lemon be used to make this lemon cake? Yes, but you would need to adjust the recipe slightly If using Meyer lemon, for every lemon,use 2 Meyer lemon they are smaller than a regular lemon. You should reduce the sugar slightly. Meyer lemon are sweeter than regular lemons. How far ahead can I make the Lemon Yogurt Cake? The cake can be made ahead of time by one day. Glaze the cake. Either wrap the cake in plastic wrap or place in a glass cake plate with cover until the next day. Then glaze and serve. In separate bowl, whisk together yogurt, canola oil, lemon juice, lemon and vanilla extract, lemon zest, and egg. Mix together the confectioner sugar and lemon juice. Set aside. Combine unsifted confectioners sugar, vanilla, lemon juice, and zest. Ice the cake when it has cooled. Remember to keep reading below the recipe! 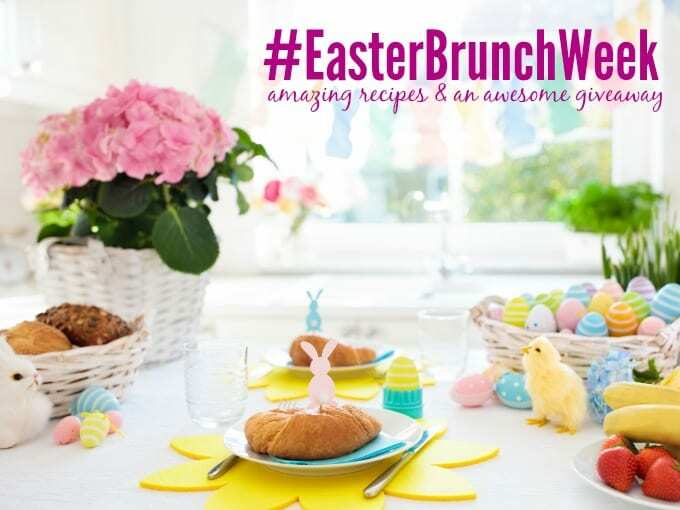 The info to enter #EasterBrunchWeek giveaway is all there for you! 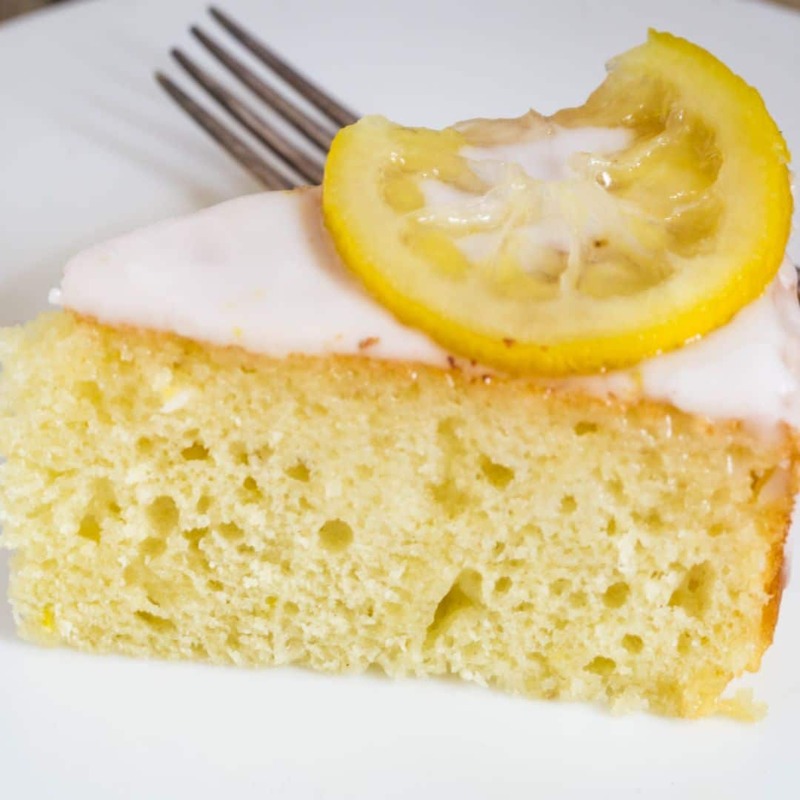 Lemon Yogurt Cake is light and fluffy! 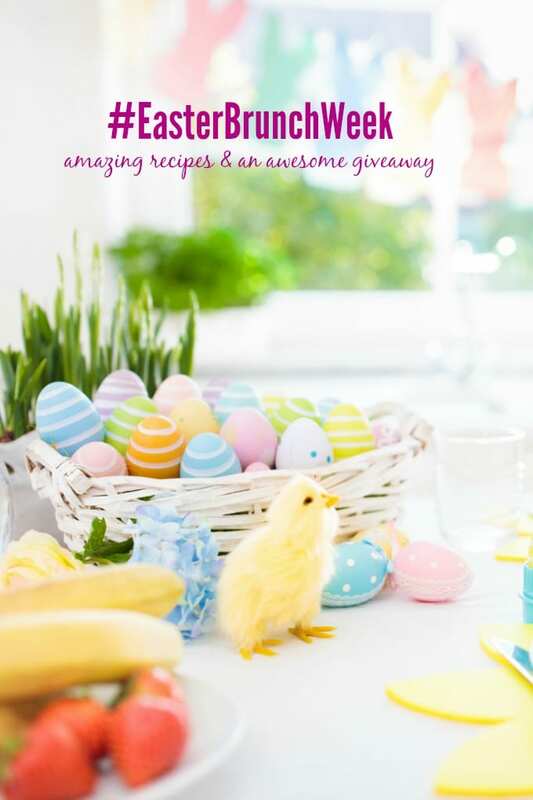 A perfect addition to your Easter Brunch Menu! Perfect for spring and summer festivities! Bring to a baby shower, Mother Day, potluck supper! Preheat oven to 350 degrees. 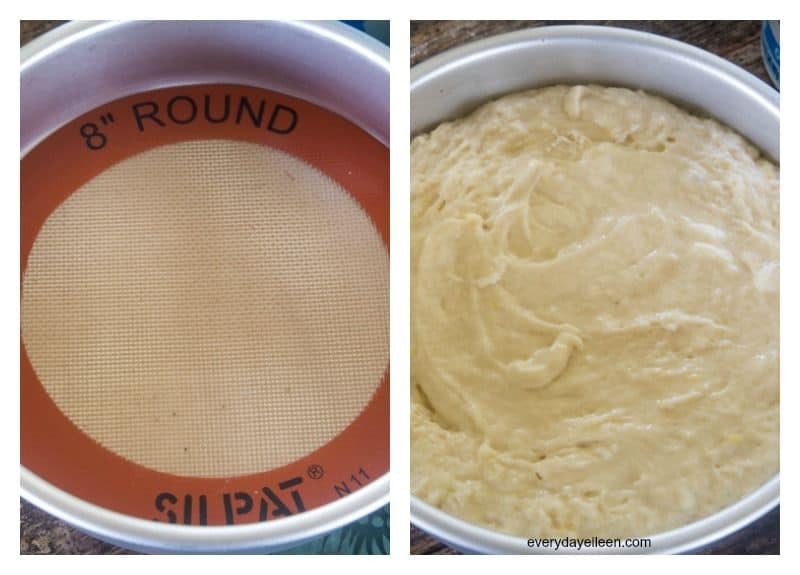 Insert a Silpat 8-inch round mat into an 8-inch round cake pan. If a Silpat is unavailable, spray with non-stick baking spray. Set aside. In a small bowl, sift together flour, sugar, baking soda, baking powder, and salt. Set aside. In a medium bowl, whisk yogurt, egg, lemon juice, lemon zest, lemon extract, and vanilla. Fold in the dry ingredients into the yogurt mix. Don't overmix. Blend till moist. Place in the 8-inch round cake pan and bake for 30 minutes. Toothpick should come out of center clean when cake is done. Remove from oven. Set aside to cool. In a small saucepan over medium heat combine the sugar and lemon juice. Whisk until the sugar is combined. Let cool. Once glaze is cool, use a pastry brush to spread the glaze on the cake, include the sides of the cake. In a small bowl combine confectioners sugar, lemon juice, lemon extract, and if using lemon zest. Spoon the icing onto the center of the cake. Use a spatula to spread the mixture over the top of the cake. It will drip down the side of the cake in spots. Feel free to use candied lemons to decorate the top of the cake or fresh lemon slices.